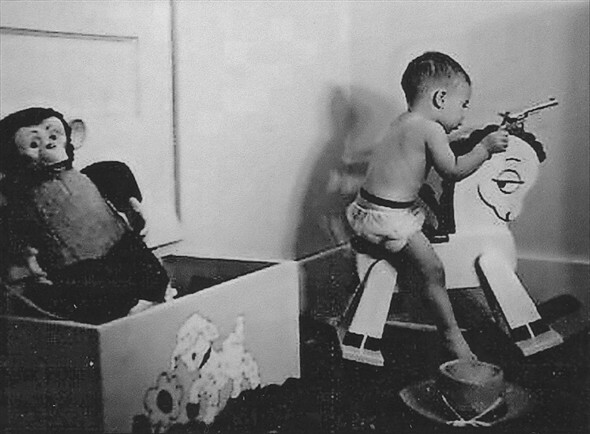 Rocky was made for me when I was 2, that was in 1957. We were living in 13 Upper Market Street at the time and my father George Horrobin had a workshop in the basement. I don't really remember him arriving, but Rocky has been in the family ever since. Both my sister and brother played on him and he was carefully stored in our loft in Wilson Avenue until I married and had a daughter, Kelly. 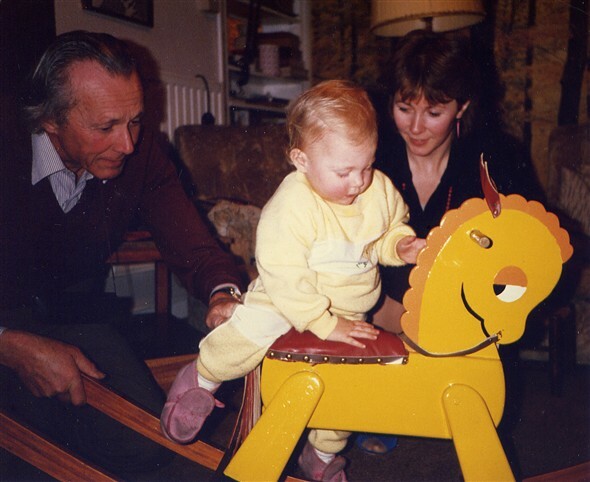 My father then renovated Rocky, he had a new tail and a slightly different colour mane and was given to Kelly to ride. My sister Jane then had a son, Joshua, so Rocky was brought out of mothballs again. He came out to play again recently at the opening of the new Children's Centre in Whitehawk as part of the toy exhibition. After that he was stored at the Manor Hill Shop. We really enjoyed our visit with you this past October. It was fun to reminisce on family and visit Whitehawk again. We thought these pictures might be of interest to you. 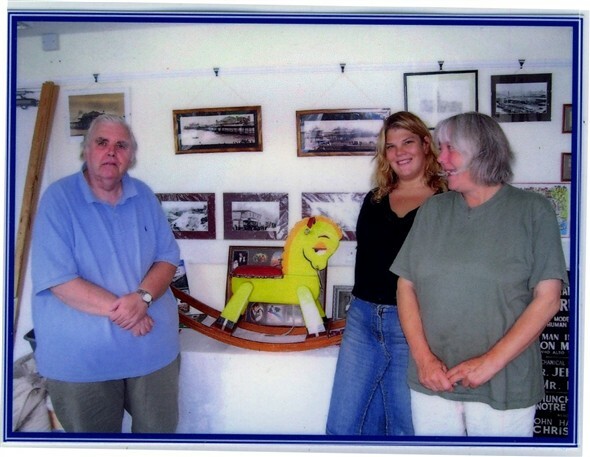 The rocking horse caught our eye when we dropped by the "East Brighton Bygones" shop to see Sue. 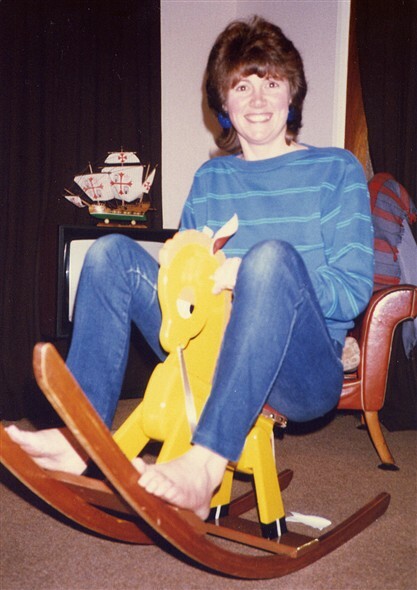 The black and white photo shows our son Keith, (who is now 48) mounting his rocking horse that is the same as the rocking horse at your shop. 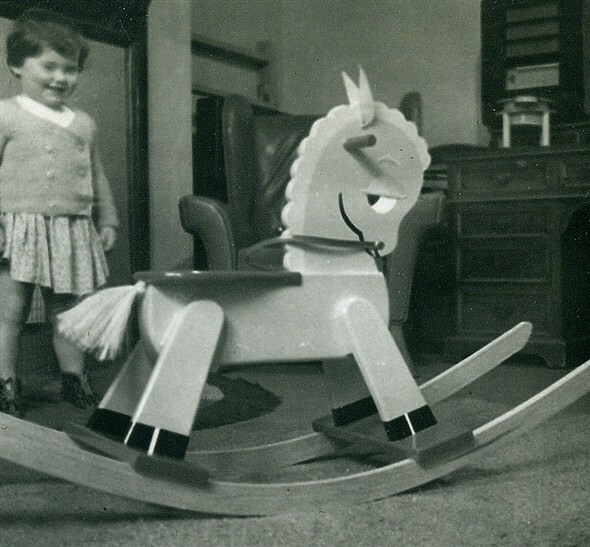 I built the horse back in 1959 from a 4ft by 8ft by 3/4in sheet of plywood and a 98cent saw purchased to do the job. I believe I still have the pattern filed away somewhere, (and the saw). 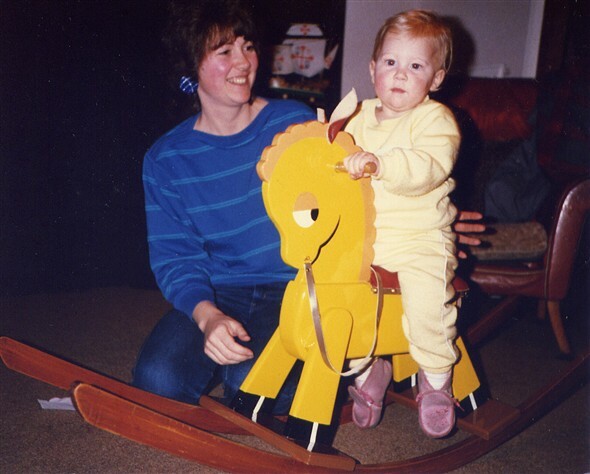 The horse was built in Winnipeg, Canada, has travelled to Wisconsin, USA, and now is stabled in our attic in Alabama. 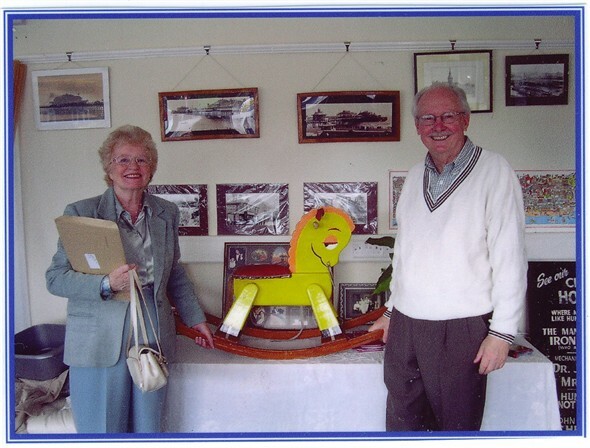 It has been ridden by our two children, four grandchildren and two great grandchildren. 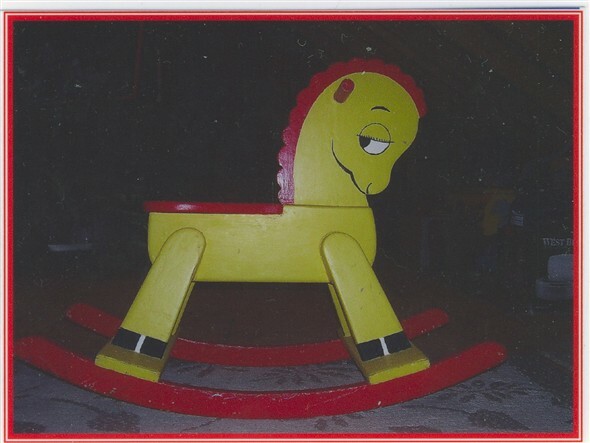 He will come out of his stable whenever present and future great grandchildren come to visit. 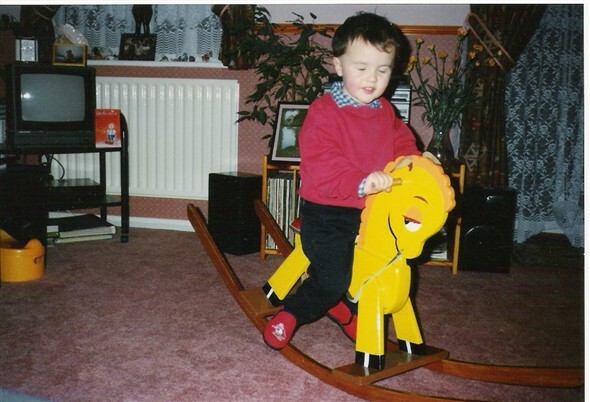 It was so strange to see pictures of another Rocky from Fred's family in the states. Although they must have both been made from the same pattern it is uncanny how alike they both are, down to the same expression!! We must continue to keep records of the adventures of Rocky and his brother, or is it sister? I wonder what they call him too? This page was added on 08/02/2007. Hi Tricia this is just a short note to ask if George Horrobin was the woodwork Teacher at Fawcett School in the mid fifties,if so he used to teach me,it would be nice to know if this is the same person.